Annual Reports – Центр "Нова Європа"
The NEC experts have prepared 25 analytical materials in 2018. Last year, our team had organized at least two events per month. You can find out more details in our annual report. The New Europe Center was founded in 2017 as an independent think-tank. Despite its new brand, it is based on a research team that has been working together since 2009, at the Institute for World Policy. 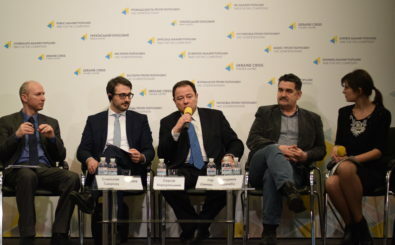 The New Europe Center became recognized by offering high-quality analysis on foreign policy issues in Ukraine and regional security by combining active, effective work with advocacy.